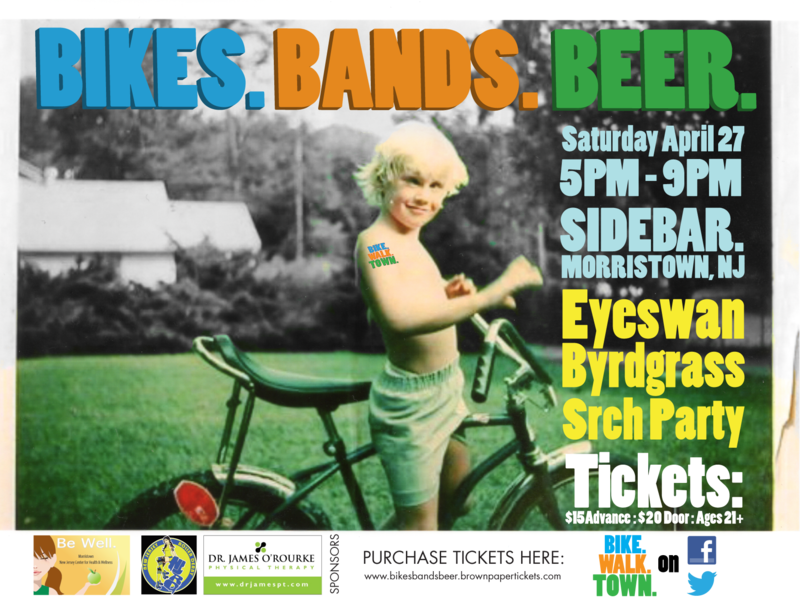 Join Bike and Walk Morristown at the Sidebar on April 27 for a celebration: Bikes, Bands, and Beer! Our inaugural Spring Membership Drive is joined by three fantastic local bands: Eyeswan, Byrdgrass, and Srch Party. When: Saturday, April 27, 5-9 pm. Sponsored by Jim O’Rourke Physical Therapy, New Jersey Roller Derby, and Be Well in Morristown.